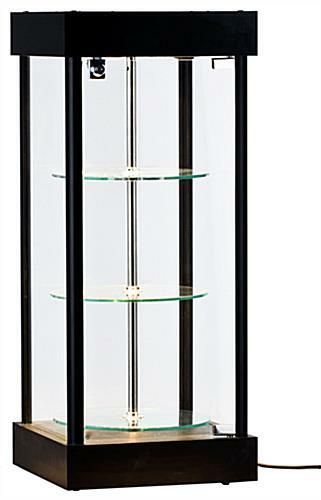 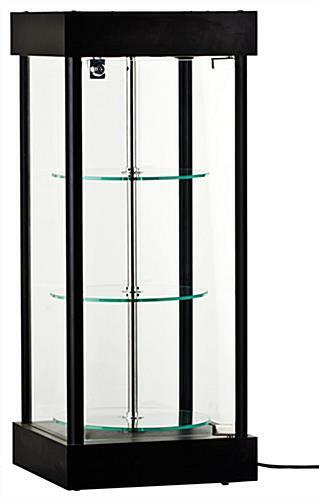 This motorized spinning counter LED cabinet is a small 34" tall merchandising display with three round glass shelves. 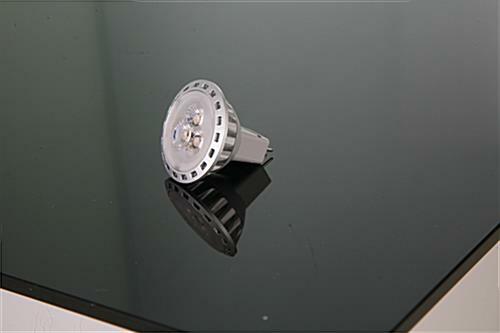 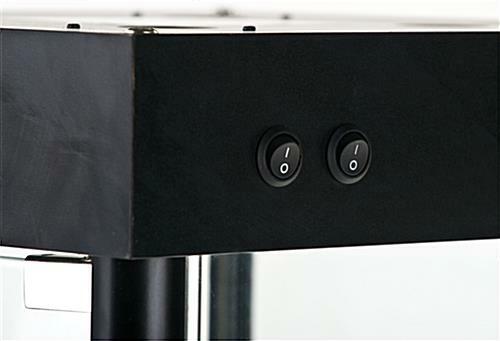 Each high visibility fixture includes four energy-efficient top lights that can be activated either with or without the shelves rotating. 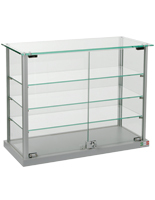 This electric spinning counter LED cabinet is made of impact-resistant tempered glass with a hinged, locking access door to protect merchandise. 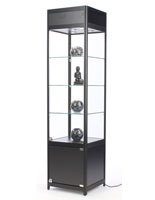 Each showcase has sturdy black finish MDF framing that for a modern look that complements any environment. 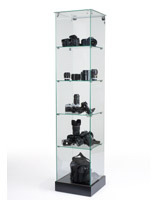 This tempered glass counter LED cabinet with three round shelves is ideal for use in high traffic areas in retail stores, galleries, museums, and at off-site promotional or trade show events. 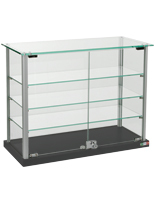 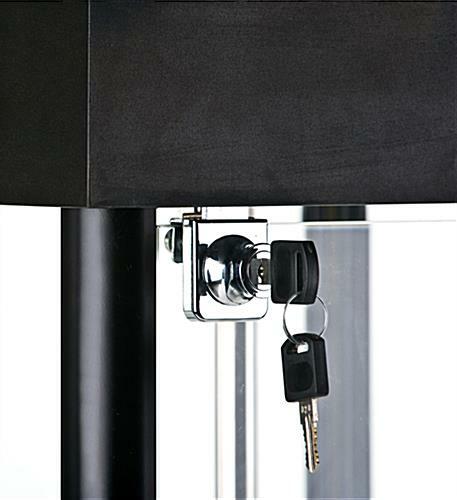 This small 34" merchandising fixture includes separate power controls for shelf rotation and top lights. 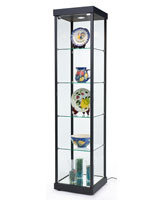 14.3" x 34.0" x 14.3"